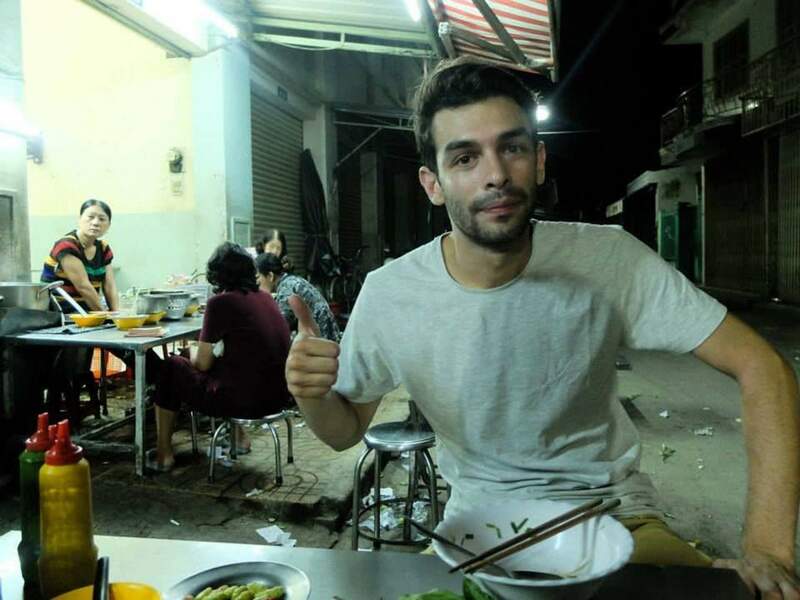 One of the author’s sons, Clément Dagnaux, after a meal in Vietnam in 2014. A video of a white American chef demonstrating the “right way” to prepare and eat Vietnamese pho made headlines just two years ago, kicking off a long, complicated conversation about what is culturally appropriate when it comes to food. 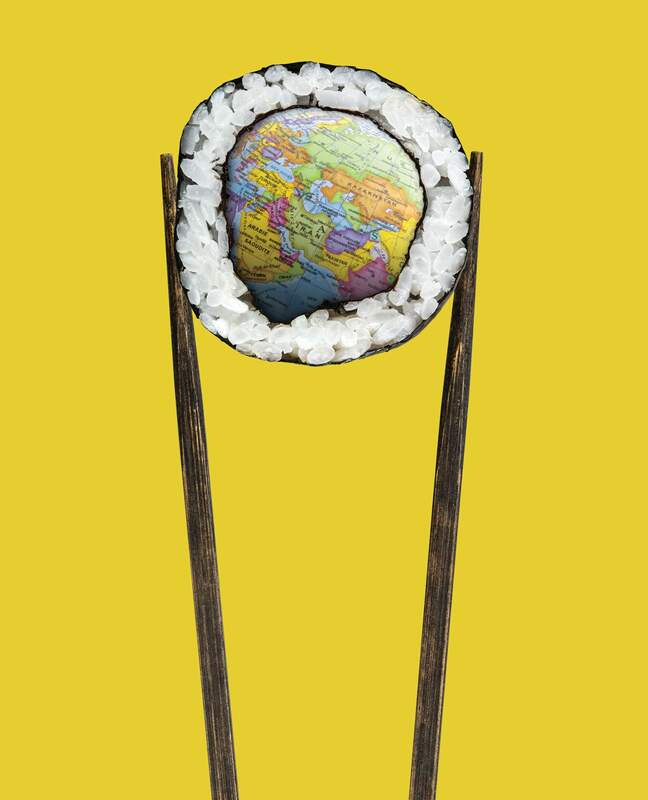 Chefs and writers debated the question of who has the qualifications to claim authority in sharing the recipe or instructing the preparation of a “culturally sensitive” dish, or assert expertise of a cuisine not one’s own. Can just anyone understand a dish so intimately as to be able to faithfully reproduce and explain it, whether or not one is born into the culture of that dish? I followed the discussion closely, but the more I listened, the more something niggled. I agree that the history of a dish, deeply rooted in the identity of a people, is fundamental in defining a dish as cultural. A community and a terroir together create a recipe out of available ingredients, necessity, traditions, innovation and savoir-faire. To claim expertise requires significant knowledge of and respect for those roots. But a dish is more than the sum of its ingredients, deeper than its origins. What I found missing from the discussion was context, something that I learned raising multicultural sons. Food has always been an important transmitter of stories and heritage in my family. I was raised in a Jewish home where the partaking of very specific foods was the centerpiece of each holiday. An essential part of the festivities was the recounting of the history, the explaining of the symbolism around the preparation and the eating of those foods. Our home was also unquestionably American, and I was very conscious of the contrast between these two facets of my family – in not only what we ate, but also how and why we ate what we did. I eventually married a Frenchman raised in a Catholic home, and when our children were 1 and 3, we moved to Italy, where we would remain, deeply embedded in the society, for seven years before moving back to France. As our sons grew, I watched them struggle between conflicting identities: American, French, Italian, Jewish, Catholic. They not only needed to master three languages, they had to understand the codes of behavior of five distinct groups. Having grown up within two cultures and now living in two more, I became both an outside observer and an insider, helping my sons understand the cultural nuances while navigating them myself. My husband and I have always seen food as the window into a culture. By the time our sons were born, stories of history and customs, enlivened by personal anecdote and family lore, were already part of mealtime, prompted by whatever we were eating. So it was natural for us to use food as a way to explain to our sons about their different environments, to bring order to their cultural chaos and help them feel anchored to their unique heritages. But stories weren’t enough, nor was the fact that they were fundamentally part of each of these groups. We cooked and ate traditional foods with Americans, French, Italians, Jews and Catholics, observing and imitating. My husband had lived in Morocco, working and learning to cook within the Muslim community before we met, opening our sons to further comparison and awareness of the world. I finally saw that it wasn’t only religious foods that were rife with meaning. All cuisines were. It’s mealtimes, people gathered around the table, that reflect and reinforce bonds of family, community and ethnicity. The dishes chosen, how meals are organized, and the rituals of serving and eating mirror social hierarchy, and strengthen behaviors, beliefs and traditions as they are repeated. I learned what dishes were appropriate to prepare for which guests, how to serve them and why certain foods were prepared for special occasions or holidays. My sons learned the cultural references, the symbolism and the way families and strangers behaved and interacted. Once a dish is “born,” it isn’t static. It can be influenced by outside sources; it can travel and evolve over time. The same dish can be interpreted differently by people of the same nation. What tethers it to a culture is its context within the home and community, and what it represents. The rituals of who prepares it and for whom, why, how and when it is served rarely change over time; they are handed down along with the recipe. Curry, cassoulet and couscous are dishes whose ingredients and cooking methods vary in different parts of the same country. What defines each is its place in the community, its role in a meal: familial, celebratory or symbolic. Taking an example from my adopted culture, pot-au-feu is a well-known classic of the French table, but at its core, it is just another rustic peasant dish of boiled beef and winter vegetables. What I’ve learned is that it is always served family-style in an otherwise very formal society, the platter passed around convivially, indicating that a guest is truly considered family. The message this dish and so many others convey is, in my opinion, a vital element of what makes it culturally important. The question of cultural appropriation cannot be reasoned without this aspect of food. Anyone can research the history of a dish and replicate a recipe, but to ignore the context of that dish within a meal, a family or community means making mistakes is pretty much inevitable, whether with the recipe, nomenclature or the significance of the dish. If the debate that started from a short video about pho had gone beyond the divisive, often-elusive confines of origin, ethnicity and identity, and had taken into consideration the familial, emotional, sensorial aspects, the meaning food takes on in its everyday living context, the discussion might have grown into a fruitful exchange rather than forcing too many observers to take fixed, rival positions. After wading through so many charged articles on the topic, I discovered writers, chefs and home cooks who brought up their own family traditions of culturally emblematic foods such as pho, kimchi, even pesto. Their perception of their dish started with memories of eating it, how family members prepared and served it, what it tasted like and how the recipe was transmitted. That context defined the dish for them. 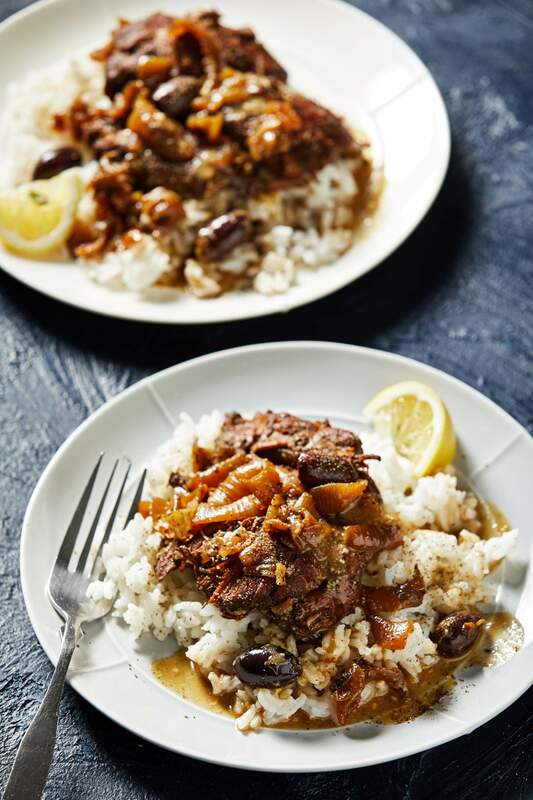 I developed my recipe for Chicken Yassa, one of Senegal’s best-known traditional recipes, after having discovered it in Nantes, where three young Senegalese women sold it at our local market. But my recipe was transformed after my son moved to Dakar, enriched by his having experienced the dish in its culture. 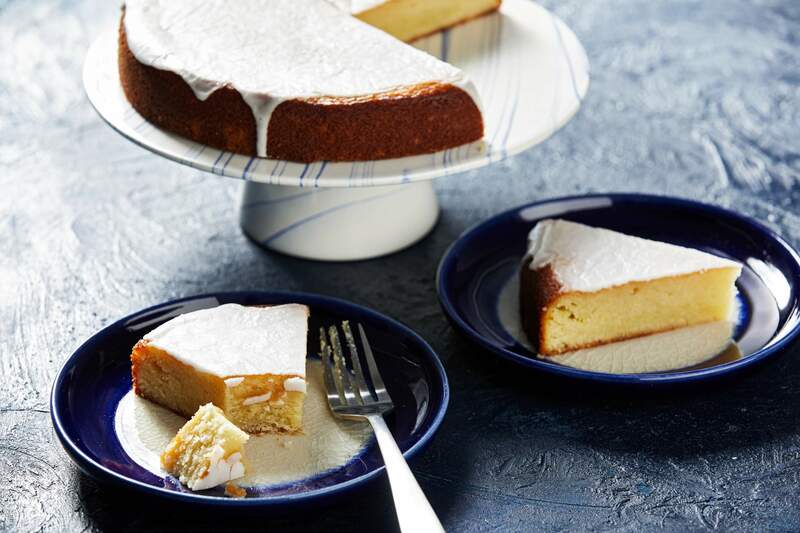 What makes some dishes culturally significant is their deep connection to a place, such as the gâteau nantais, a local pastry tied to that city’s involvement in the Triangular Commerce of the 17th century, which brought rum and almonds to the city. Other dishes evoke not a history but ceremony; the history of the French galette des rois, the King’s cake baked once a year to celebrate Epiphany, is eclipsed by the frivolity of the fete and the tradition of the charm hidden in the pastry’s filling. But must someone be born into a culture to speak authoritatively on its food or replicate it faithfully? No. I’m proof of that. I’ve been able to shrug on new identities through having lived and experienced cultures that I wasn’t born into. I obtained a deep understanding and then transmitted each cultural heritage to my sons. Food is meant to be explored and discovered, experimented with and shared. Imitation is flattering, and creativity is exciting. We do this all the time with family and friends as we prepare dishes in their traditional forms or play with them, fusing them with elements of another culture, deconstructing and reconstructing recipes. But when we position ourselves as an authority, we can’t separate food from its cultural context if we want to explain or represent it, or we lose its meaning. Food, like culture itself, is a living thing; people live and relate to it, share it, communicate tacitly through it. This is what should be at the core of the question of cultural appropriation. Jamie Schler is a food writer who blogs at LifesAFeast.net, and the author of “Orange Appeal: Savory and Sweet” (Gibbs Smith, 2017). If you choose boneless, skinless chicken parts, the cooking time may be shorter; monitor doneness as needed.Serve over white rice. MAKE AHEAD: The chicken needs to marinate in the refrigerator for 8 to 12 hours. INGREDIENTS:3 lemons¼ cup red or white wine vinegarOne 3½-pound chicken, cut into 8 parts, or that weight in your favorite chicken parts5 or 6 tablespoons vegetable oil, or more as needed2½ pounds onions, sliced4 large cloves garlic, crushed or minced2½ tablespoons Dijon mustardSaltFreshly ground black pepper½ cup water, plus more as needed1 cup pitted green or purple olivesMethod:Squeeze the juice from 2 of the lemons into a container just large enough to comfortably hold all of the pieces of chicken. Add 1 tablespoon of the vinegar. Add the chicken and turn to coat, then cover and marinate in the refrigerator for 8 to 12 hours. Heat 1 or 2 tablespoons of the oil in large pot or Dutch oven over medium heat. Pat the chicken pieces dry with paper towel. Working in a couple of batches, add the chicken and brown the pieces on both sides; this should take 5 to 10 minutes per batch. Transfer the pieces to a plate as you go. Heat the remaining oil in the same pot. Add the sliced onions; cook for several minutes, stirring almost constantly, to make sure they are evenly done and not burned in spots, until tender, translucent and starting to turn golden. Add the garlic. Whisk together the mustard and remaining 3 tablespoons of vinegar in a cup and then add it to the onions. Season the onion mixture generously with salt and pepper. Continue stirring for 2 minutes, then stir in the ½ cup of water. Let the mixture cook, undisturbed, for just a minute or two, to form a slightly thickened sauce. Return all the chicken to the pot; cook for 2 minutes, stirring. Pour in just enough water to barely cover the chicken, and then add the olives. Once the liquid is bubbling at the edges, cover and cook (medium heat) for 20 to 30 minutes, until the chicken is cooked through and the sauce has thickened a bit more. Squeeze in the juice from the remaining lemon and stir to incorporate, then remove from the heat. Taste and add more salt and/or pepper, as needed. Salted butter is a must in this recipe, as it is in all traditional recipes of Nantes – once the capital of Brittany where sea salt is harvested.You’ll need an 8-inch round cake pan (or springform pan) with sides at least 2 inches tall. MAKE AHEAD: The finished cake needs to rest at room temperature for a day before serving. Combine the granulated sugar and water in a small saucepan over medium heat, stirring until the sugar dissolves, then increase the heat to high and bring to a rolling boil. Immediately remove from the heat; cool to room temperature. Preheat the oven to 350 degrees. Use some butter to grease your 8-inch cake pan, then line the bottom with parchment paper. Lightly butter the paper, too. Combine the 9 tablespoons of butter and the granulated sugar in the bowl of a stand mixer or handheld electric mixer; beat on medium-low speed until creamy and smooth. Add the almond meal/flour, beating until well incorporated, and then the eggs in three or four additions, beating until well incorporated. Add the all-purpose flour and 3 tablespoons of the rum; increase the speed to medium and beat just long enough to create a smooth, thick batter. Transfer the batter to the pan, spreading it evenly. Bake (middle rack) for 40 to 45 minutes - just until set in the center and the cake begins to pull away from the sides of the pan. The finished cake should be a deep blond/golden color. If the cake seems to be browning too quickly in the last 10 or 15 minutes of oven time, cover it loosely with aluminum foil. Stir most of the remaining rum into the cooled sugar syrup. As soon as the cake is out of the oven, slide a knife around the edges to loosen it from the sides of the pan. Carefully turn out onto a wire cooling rack, quickly peel off the parchment paper and then turn it top side up onto a second rack seated in a rimmed baking sheet. Immediately brush about half of the rum-infused sugar syrup all over the cake. Let it cool completely; then brush it again with the remaining syrup (you may not use quite all of it). To make the icing, whisk together the confectioners’ sugar and the remaining rum in a bowl, until very smooth, adding just enough water to create a thick yet drizzling consistency (like royal icing). Use a spatula or offset knife to spread the icing over the top of the cake, allowing it to drip down the sides. Let the cake rest for a day, so the syrup can fully soak in. The icing will set, helping to keep the cake moist. When ready to serve, cut into thin wedges.